SYDNEY'S top 50 companies are leading the pack in Australia's largest city and leaving a lasting impact on the economy. We reveal 21-30 on the list which largely consists of heavy-hitters in the property, construction and infrastructure sectors. While many reported a significant profit or revenue increase for FY17, some in the group struggled amid tough trading conditions and markets. GAS pipeline infrastructure provider, APA Group, was not immune from the increased debate and scrutiny about energy prices in Australia as it also underwent a major boardroom shakeup. Chairman Leonard Bleasel stepped down after 10 years to be replaced by non-executive director Michael Fraser while two other board members, John Fletcher and Patricia McKenzie also retired. As for the energy price debate, CEO Mick McCormack says revenue increased 14 per cent as the company came under intense pressure. "During the year, we saw energy policy and pricing put under political and media spotlights," says McCormack. "We do understand the government's desire to reduce energy prices overall. As a result, we had numerous regulatory reform interventions thrust upon the industry at short notice and with limited consultation." "Despite this, APA continues to work with all relevant stakeholders to facilitate the delivery of cheaper gas to the domestic market." To help stem some of the issues faced by the country regarding access to cheap power, APA made changes to the South West Queensland Pipeline and the Moomba Sydney Pipeline to ensure more gas is delivered to the southern markets. The group is also due to commence a new contract on the Roma Brisbane Pipeline to ensure more gas is delivered to the Pelican Point Power Station in South Australia. 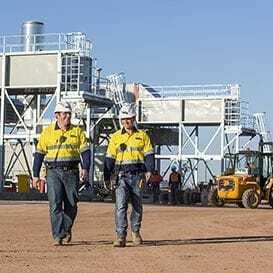 In June, the company announced it will commence construction of a new $180 million gas pipeline and power station to provide energy to Gold Road Resources' Gruyere gold project in Western Australia. PROPERTY giant Dexus says it is poised to capitalise on positive market conditions in Sydney and Melbourne, while also forecasting the struggling Perth and Brisbane markets are set to recover. Its full year profits rose 0.3 per cent and CEO Darren Steinberg has forecast guidance for 2018 of distribution per security growth of 4 to 4.5 per cent as Dexus pursues its strategy of taking advantage of the tight markets in Sydney and Melbourne. 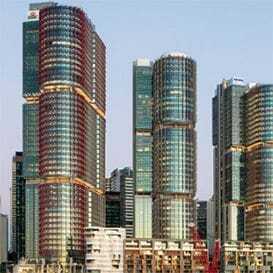 It also booked net revaluation gains on its properties of $704.7 million. The Dexus result was in line with expectations after its raised $500m to fund about $1.1bn of property purchases in Sydney and Melbourne in June. Steinberg also says the company will pursue the trend of urbanisation by winning approvals for residential and hotel conversions on CBD towers and proposing next generation office towers in and around the major cities. AUSTRALIA'S national carrier has undergone a major turnaround under CEO Alan Joyce and the airline's full-year profit of $852 million for FY17 was a reduction of 17.2 per cent from the previous year which was its best result in history. Joyce puts it down to tackling structural issues to improve performance and efficiency and a focus on customer service and, on the back of the results, Qantas announced a $373 million share buyback. 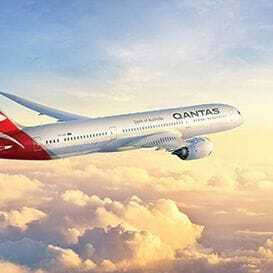 The airline also confirmed it was investigating direct flights from the east coast of Australia to London, New York, Paris and Rio de Janeiro by 2022 with its next generation long-haul carriers. It's expected to cut the 20-hour journey from Sydney to London by four hours, while Melbourne flight times will be cut by three hours. It's a far cry from the original "Kangaroo Route" operated by Qantas had seven stops and took four days. COMMERCIAL property developer GPT Group booked a 28.3 per cent jump in its half-year profit, upgraded guidance and indicated it has an appetite for more big picture development projects. CEO Bob Johnston says the $752.3 million profit to June 30, 2017, was down to the quality of the group's investment portfolio along with a high occupancy rate and solid income growth across all sections of the business. GPT has been working on more than just managing office towers. Recently completed projects in the shopping centre sector and logistics and warehouse areas mean GPT is becoming a major player in the real estate game. In April, the company completed the construction of a warehouse facility in Seven Hills the facility comprising two 9,000 square metre warehouse and office spaces, with a tenant secured for one of the spaces on a seven-year term. The group also announced a $230 million Parramatta office tower to be part of the area's $6 billion transformation. GPT bought the site in February from the Salvation Army and is in the process of preparing the development approval for what will be a 20 storey-plus commercial and cultural centre. Construction continues on the $420 million expansion of Sunshine Plaza at Maroochydore, in which GPT has a 50 per cent interest. The development will include a new format David Jones, upgraded Myer, new international mini-majors and over 100 new specialty retailers. Pathology and radiology services company Sonic Healthcare reaffirmed its full-year earnings guidance in November after a solid FY17 performance. CEO Dr Colin Goldschmidt says the first four months of the 2018 financial year confirmed expectations that underlying earnings will grow by 6 to 8 per cent on a constant currency basis compared to $889 million in 2016/17. 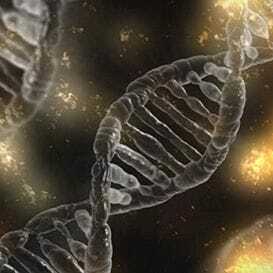 Sonic Healthcare acquired a number of companies including Staber, a German laboratory group, and West Pacific Medical, an American laboratory group. Sonic's strategy to partner with hospital networks in America is proving successful, with joint ventures with Western Connecticut Health Network and Baptist Memorial Health Care running smoothly. The company recently signed agreements with the New York University hospital system as a partner to offer enhanced outreach laboratory services for NUY's 2000 physicians and healthcare providers. 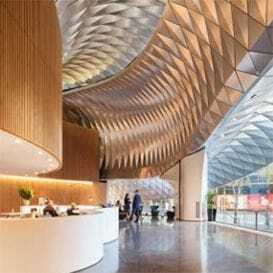 LENDLEASE, the global property and infrastructure giant, lifted its full year profit by 8.7 per cent on the previous year and the company has set its sights on a number of high profile projects. In London, the group has been recommended as the preferred bidder for High Road West, a $1.63 billion regeneration project in Tottenham. Since the end of June 2017, the company has picked up $10 billion worth of construction in and around London. In July Lendlease scored a $7 billion London project where it will partner with Haringey Council in a 50-50 venture that will deliver 6,400 homes. It has a development pipeline with a total end value of $50 billion. Closer to home the company is leveraging its 2017 success and is reportedly planning on constructing a toll road called the Sydney Gateway. The project has been condemned by stakeholders, who claim motorists in Sydney are already overburdened with toll roads. The company is also currently pressing ahead with plans to enter the build-to-rent sector in apartments in London and the US. 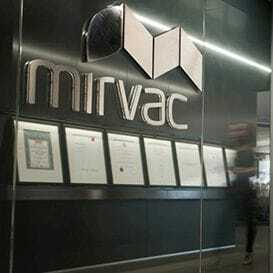 MIRVAC Group has benefited from the surging house prices in Sydney and Melbourne with a 13 per cent rise in profit to $1.16 billion and has forecast its earnings growth will continue, despite serious concerns about housing affordability. CEO Susan Lloyd-Hurwitz says the company has been buying at the right time and in the right locations to ensure Mirvac enjoyed strong margins across a number of its residential projects, particularly in Sydney and Melbourne. In Queensland, the company announced in March it had made $165 million in settlements since launching the second stage of its Unison development at Newstead. The company has also been pushing into Brisbane's medium-density housing market after making two townhouse and house-and-land acquisitions. The group bought two sites in Arana Hills and Everton Park for a combined $18.6 million in the Brisbane middle-ring suburbs. 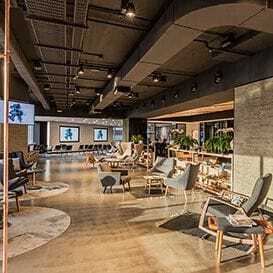 In New South Wales the company has been diversifying its retail portfolio after the group took control of two major Sydney shopping centres. Mirvac says it is also making good progress on its Sydney Olympic Park developments which is aimed at attracting new home buyers under the Right Start initiative. On the back of a strong FY17, CEO Lloyd-Hurwitz says FY18 will be even stronger. "Our focused and disciplined urban strategy has consistently delivered stable earnings and distribution growth over the past few years, and we expect FY18 to be another successful year, driven by a secure yield from our high-quality, modern investment portfolio, embedded rental growth, and attractive returns from our high-quality development pipeline," says Lloyd-Hurwitz. 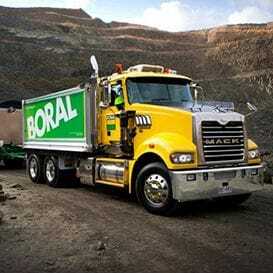 BUILDING materials supplier, Boral Limited, has been buoyed in recent years by the boom in building that's been accelerating on the east coast over the last year and it expects better-than-expected earnings growth as a result. However, the company does expect Australia's property market to ease this financial year but has forecast continued growth on the back of a wave of major infrastructure projects. The company lifted its 2017 full year profit to 30 June by 16 per cent to $297 million, helped by its Australian operations and improved earnings from its US business. Revenue was up 1.8 per cent per cent to $4.4 billion. CEO Mike Kane says the company had turned a corner with the growth in each of its divisions: Australia, North America and the USG Boral joint venture. "We have come a long, long way. The return of funds employed of this company has gone from four (five years ago) to 9.2 per cent," Kane says. "We could hardly scrape together $100 million in earnings (five years ago) ... we've just delivered one of the best performances that Boral's ever had." Value of work done in its roads, highways, subdivisions and bridges segment increased by 14 per cent year-on-year in FY17 and is tipped to grow by a further 15 per cent this financial year. Boral is involved in projects such as the Warrego Highway stage 2 and Kingsford Smith Drive in Queensland, and Sydney Metro, while it is tendering for a range of work including Melbourne Metro. CALTEX Australia delivered a net profit drop of 17 per cent for the first half of 2017, compared to the prior corresponding period, because of a crude oil inventory loss and expenses associated with its franchise employee assistance fund. In May 2017, an audit of Caltex petrol stations revealed almost 80 per cent were underpaying their staff. As a result, 19 of the Caltex franchisees who controlled 43 sites were terminated from the Caltex network. In the wake of an expose by Fairfax Media, Caltex reported it was establishing a $20 million fund to repay underpaid workers. Following the first half results, Caltex announced it will shed 120 jobs to offset the impact of losing its supply contract with Woolworths. Caltex will merge its current operations into what it calls "a fuels and infrastructure" business. 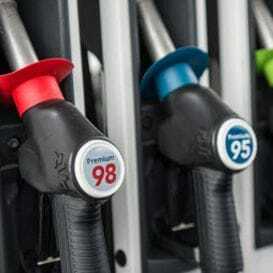 To plug the gap left by the loss of the Woolworths contract, the company has bought Victorian service station network Milemakers and Gull New Zealand's network, with both expected to contribute between $50 and $60 million a year in earnings. 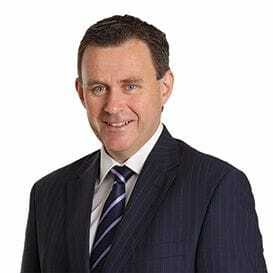 IT was another year of improvements for superannuation provider Challenger, which secured another $10 billion in assets under management (AUM) over the year. The company, which now has $70 billion in AUM, reported continued growth over the 2017 financial year. Importantly, the company's expansion into the Japanese annuity market was very successful, according to CEO Brian Benari. "Our new relationship with MS Primary, which sees us partner to provide Australian dollar annuities in Japan, delivered 15 per cent of Life's 2017 annuity sales," says Benari. "At the same time, we are benefitting from our scalable business model with a 120 basis point reduction in our cost to income ratio to 33.4 per cent, well below industry benchmarks an outcome we expect to improve on over the medium term." The group is well positioned for FY18, targeting normalised net profit before tax of between $545 million and $565 million.